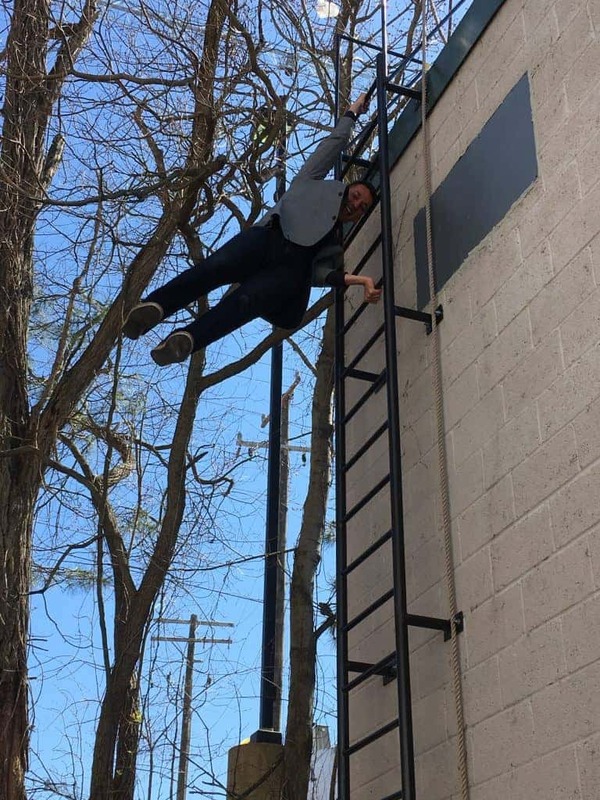 Have you ever wanted to see the Biergarten’s very own Paymon fall off a building? Donate here to make the dream a reality! Paymon needs to reach $1000 in donations before he can rappel off the top of the Hilton global headquarters in Tysons. 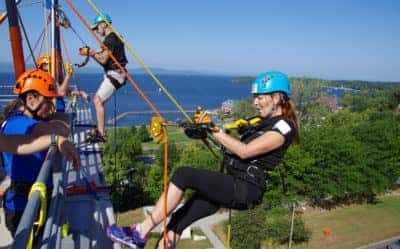 Habitat NOVA’s Over the Edge fundraiser is a once-in-a-lifetime experience that truly lifts community awareness for affordable homeownership to new heights! Up to 100 elite thrill-seekers – our “Edgers” – will participate in a high-adrenaline rappel down the Hilton Global Headquarters towering multi-story building, overlooking the park plazas below. Your view will be incredible! And the exhilaration of completing a bucket-list experience will only be matched by your deep pride in actively supporting Habitat NOVA’s mission – building lives as well as homes for area families in need. Paymon Hadjiesmaeiloo is a local business owner who believes in giving back. Through his current work as part owner of Tysons Biergarten and throughout his life, Paymon has been involved in the Northern Virginia business community, working with nonprofits and local organizations to help them raise money and awareness through events. Now, he’s taking it to the next level… the 15th level, in fact. This is NOT your typical fundraiser! Our 2018 Over the Edge event is one of the most highly anticipated and exciting fundraisers in Northern Virginia. Yes, there will be music and food! Yes, there will be cheering crowds! Yes, there will be incredible prizes for top fundraisers! But mostly, there will be lasting memories. Habitat NOVA believes that it truly takes a village to build strong and stable communities. Habitat NOVA homes are built with the combined support of corporate sponsors, pro-bono partners, individual donors and dedicated volunteers. So who does it take to help Habitat NOVA homeowners build strength, stability, and self-reliance? It takes everyone and that starts with YOU!